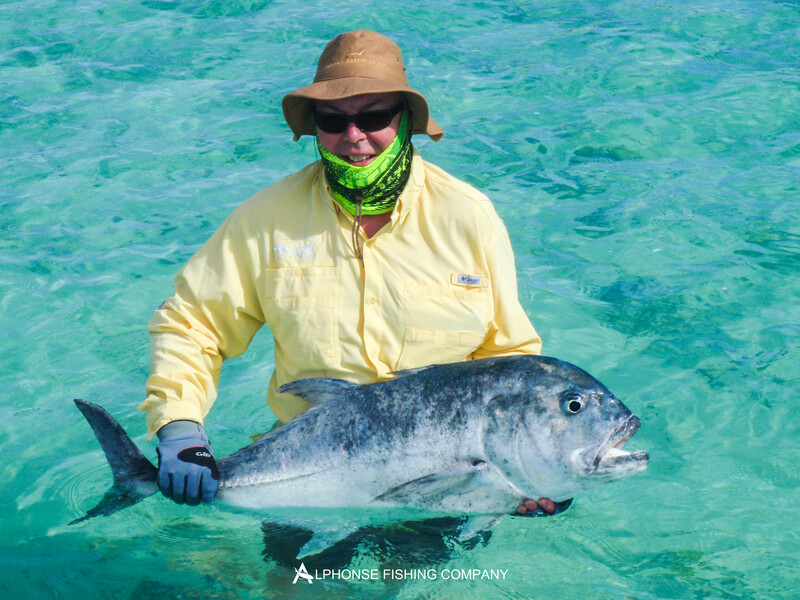 Twenty-five weeks of fishing on St. Francois atoll and it is still providing guests with some incredible flats fishing experiences. 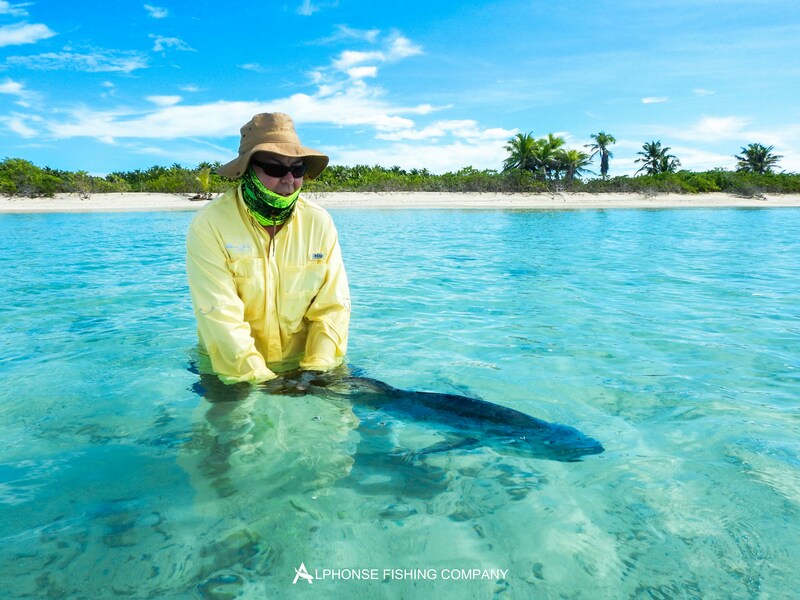 As we progress into the latter part of the season the Alphonse Fishing Co. team is working hard to maintain the standard and make sure everyone has a phenomenal week. As flats fishing tides go you couldn’t have asked for much better. The week kicked off with the remnants of a big spring tide, dropping off as the week progressed into a full neap tide. 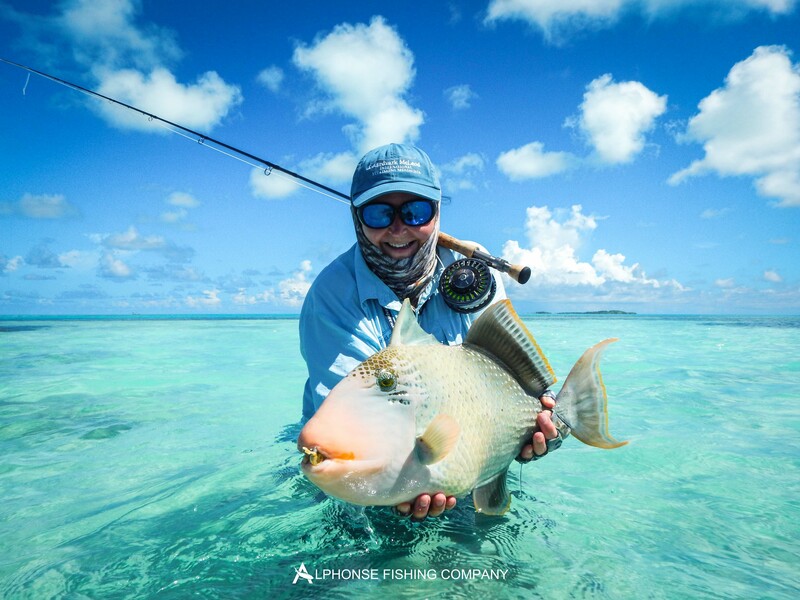 This gave our guests the opportunity to experience most of what the atoll has to offer, ranging from great long surf walks to some crazy finger flat trigger fishing. The weather did not quite play along on day one, with a big tropical depression rolling through making things a little wetter than they should’ve been. This however did not set the precedent for the week, as the weather throughout the remainder was incredible; great bright sunny days with little to no wind. The fishing this week lived up to its standards. With a total of 15 triggerfish, Four GT’s of which the largest was 94cm and one Wahoo on fly. 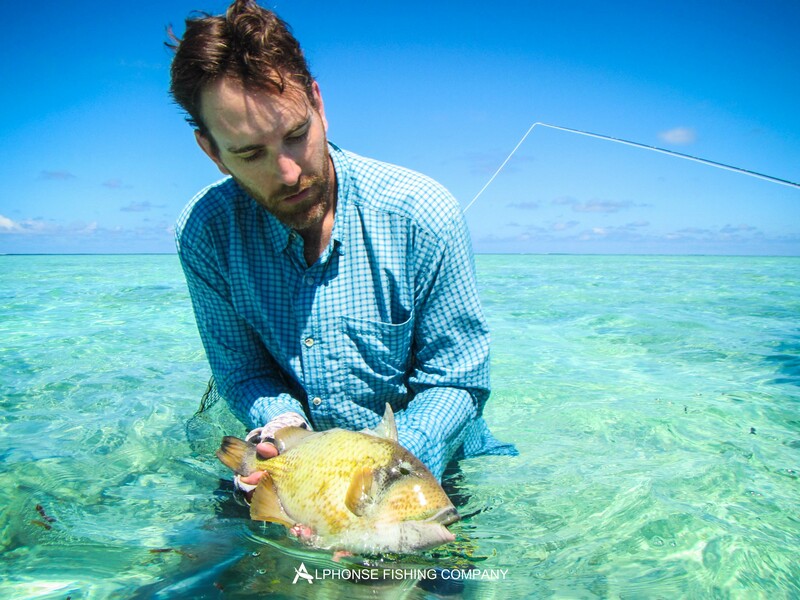 Guy Tremlett on his first trip to the Seychelles concentrated his efforts where it was necessary and came home with four beautiful Yellow-margin triggerfish a bag full of nice bonefish and the only Sailfish of the week out on the Bluewater boat. 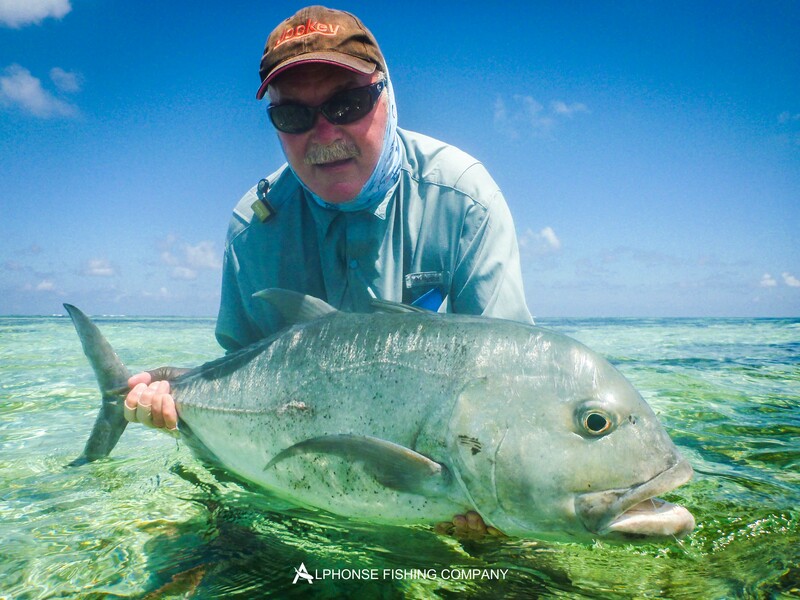 John Graham also managed to join the triggerfish club with a gorgeous Moustache; John went on to bring a great 64cm GT to hand. Richard Maitland was not far behind also clinching his seat in our triggerfish club with an amazing Yellow-margin and a fin perfect 63cm GT. Nick Evans was in close competition for the biggest GT of the week with a fish measuring in at 93cm, an awesome fish. This fish was hooked from the boat in the surf, with breaking waves around them and backing screaming through the guides, flats fishing honestly does not get much better than that. The GT champion of the week however goes to Robert Thomas narrowly stealing the honors with a 94cm GT sight fished on the flats. Some guests come here for years and years and normally there is one specific fish or species that keeps eluding them. 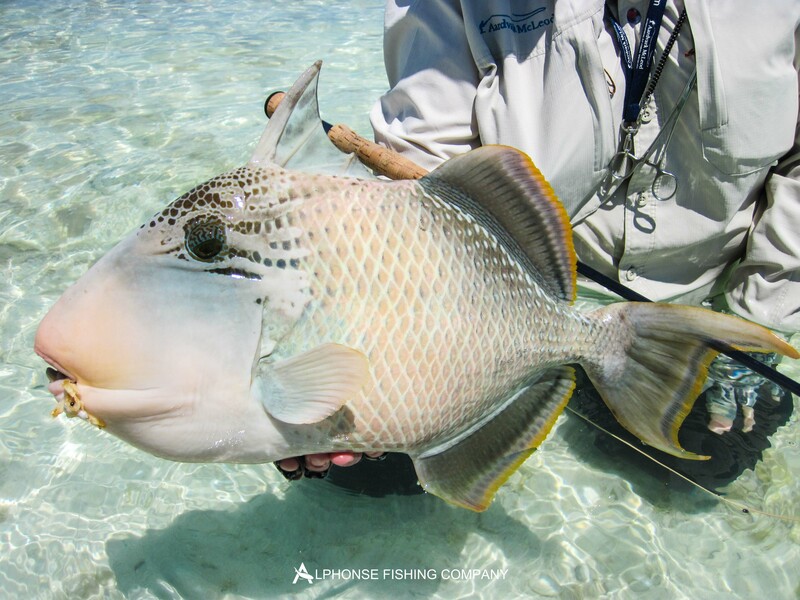 Triggerfish have a tendency to be that fish and when anglers are in that situation seeing them wave their tails around as if taunting you can be very frustrating. 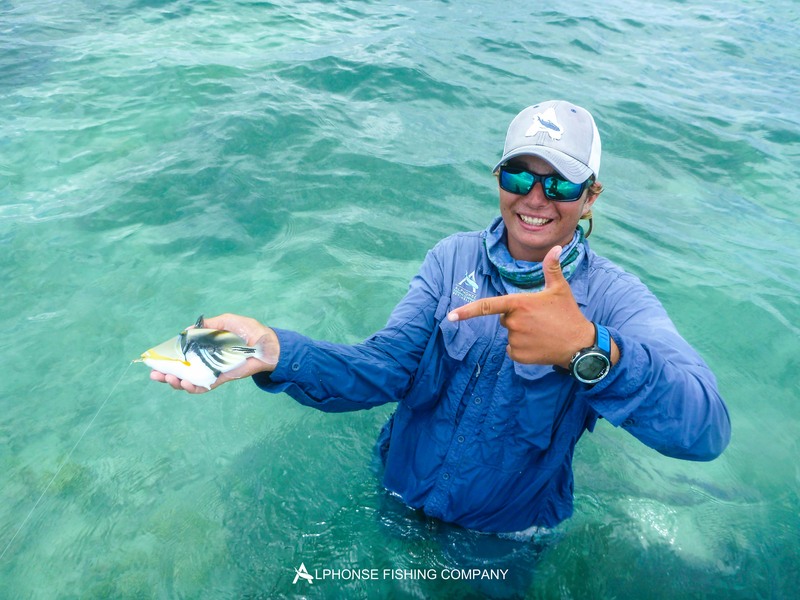 Charlotte Chilcott however managed to exorcise her triggerfish demons as she brought to hand two Yellow-margins. Andrew Barbour managed to touch both a Moustache and a Yellow-margin. 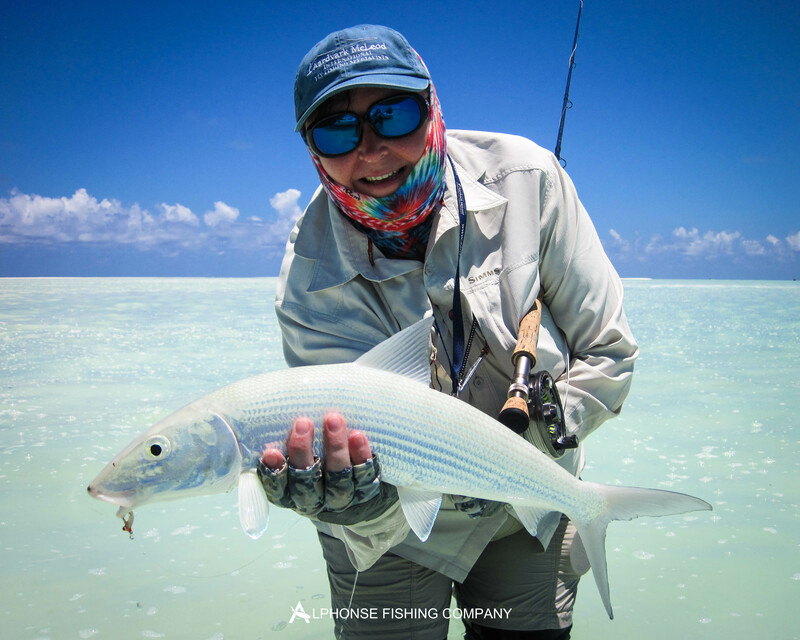 A special note goes to Brad Muhl, a seasoned saltwater angler on his first trip to the Seychelles who had never been exposed to trigger fishing. 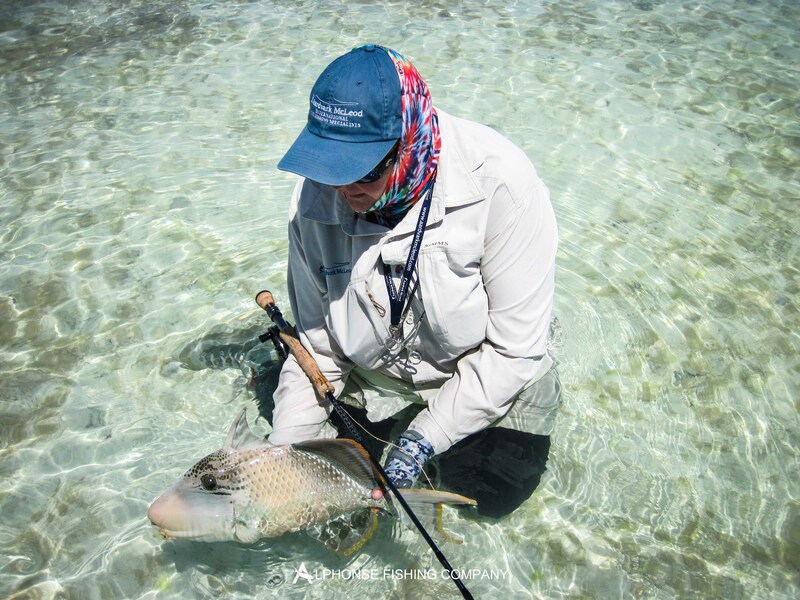 After hooking his first triggerfish the game was up and Brad went on to get one Moustache and then on the last day despite an injury resulting from an incident involving a Yellow-margin’s teeth and his middle finger, he went on to get a ‘trigger slam’. A great Yellow-margin, a big Moustache and a beautiful palm sized Picasso. Fly fishing is one of those sports that go so well with being handed down between father and son. 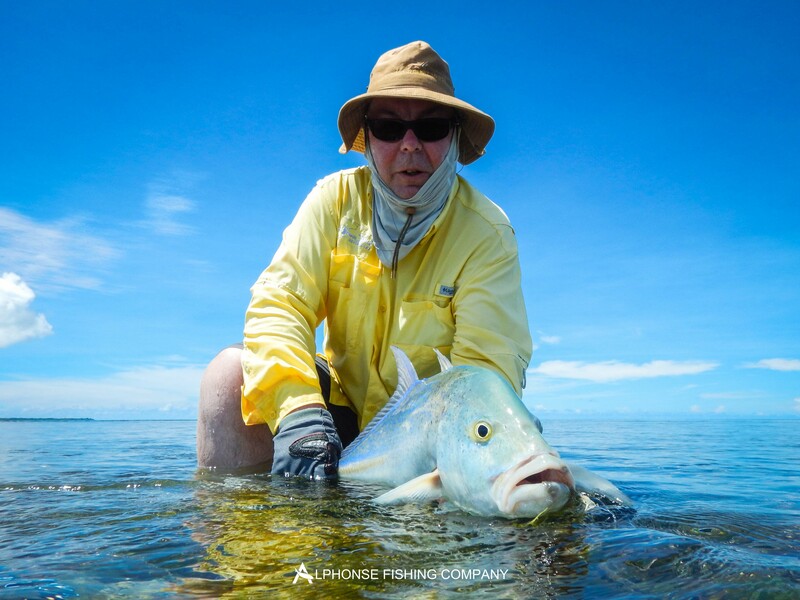 Alphonse head guide Alec Gerbec was lucky enough to have his father visit him for a few days on the flats. Mike Gerbec made his limited time count by landing two Yellow-margin triggerfish in one short session. 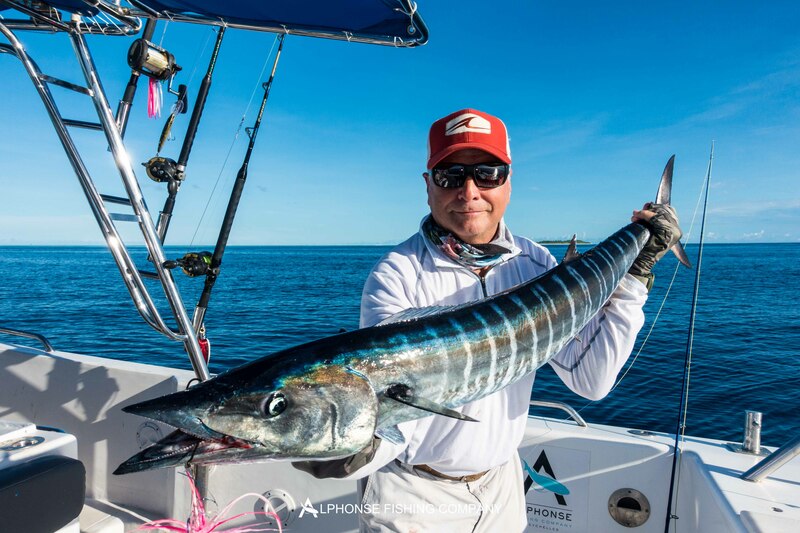 He also went on to jump a rather large wahoo on fly out on the Bluewater boat, pretty impressive and a special thing to share together.